Penn Battle II is the Best Saltwater Spinning Reel Under 200. 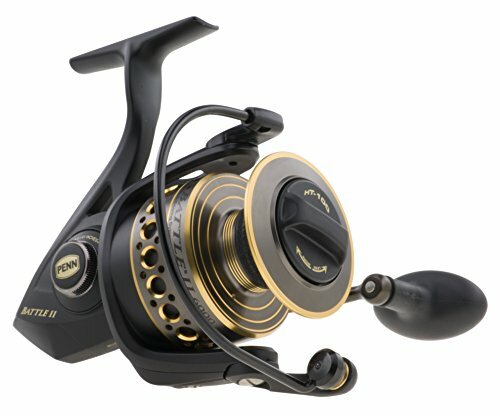 Penn Battle II 4000 is a feature packed reel that offers exceptional value. It is durable and versatile for use in a variety of conditions. The drag system is powerful yet smooth! It is made almost entirely of metal so there is no need to worry about any plastic pieces breaking. Now, let us move to our detailed reviews. Penn Battle II 4000 is the Best Saltwater Spinning Reel Under 200. The Penn Battle II 4000 comes packaged in a box with a factory seal to prevent tampering with the product. In addition to the reel itself, you receive a bag of extra washers in case you need them. The reel contains a Superline spool for use with either Berkley or Spiderwire Superline. The components are treated with Penn’s reel grease to ensure that the reel works smoothly. You don’t really need to assemble the reel. But, you can switch which side the crank handle is installed on to accommodate your preferences. The Penn Battle II 4000 performs well consistently in a variety of different fishing environments. You can use this reel for both salt and freshwater fishing. It also performs regardless of whether you are fishing from the pier or from the surf. Penn Battle II can handle large fish, even some rays, and can be used for different fishing practices such as jigging. Over time, the performance does not suffer due to the high-quality materials of the reel. It remains smooth, powerful, versatile, and easy to use. The Penn Battle II spinning reel comes with an HT-100 Versa-Drag system. This system is made of carbon fiber, making it extremely durable. The drag system is powerful enough to take on big gamefish including redfish, trout, salmon, and bass. Despite the impressive amount of power this reel packs, the drag system is still extremely smooth. The drag washers are coated in proprietary grease, which makes for a smooth system that will last for many fishing trips. This spinning reel is extremely easy to use. It is easy to cast and easy to reel because of the smooth drag system and five sealed stainless-steel bearings. The instant anti-reverse bearing also makes it so you never experience pullback and reel easily without any sort of interruption. Penn Battle II Spinning reel is easy to take apart in case you need to clean it. The light weight makes it a breeze to travel with and the drag is easy to adjust to suit your needs. The spool is also compatible with a variety of lines, making the Penn Battle II reel easy to integrate into your fishing kit. It can be used with Superline and is equipped with a rubber gasket to prevent slipping. The spool easily accommodates braided line without monofilament backing. Lastly, the line capacity ring markings allow the angler to quickly assess how much line is remaining. The Penn Battle II Spinning Reel is extremely durable due to the full metal side plate, body, and rotor. The ball bearings are made of stainless steel and meant to withstand continued use. Another step that Penn takes to ensure durability is in the drag system. The drag washers are made of high-quality carbon fiber and have been greased to ensure long-lasting performance. The bail wire is also made of heavy-duty aluminum, making it another component built to last. Penn Battle II Spinning Reel features a large crank handle with a rubber knob. This makes it comfortable to use, even for long periods of time. It was designed with an interchangeable handle, so it is perfect for anyone who is left-handed or ambidextrous. The exterior of the reel features a sleek design with a smooth finish which will go perfectly with any of the rest of your gear. Even after months of use, the reel still looks brand new and does not show signs of corrosion. The Penn Battle II Fishing Spinning Reel ships quickly and has a tamper-proof seal. The Penn customer service is extremely responsive and, if anything is wrong with your product, they will get a new one to you as soon as possible. Their customer service representatives are extremely knowledgeable and extremely well-qualified to help you solve any problems you might have. They are easy to contact and quick to resolve any sort of problems. Spinfisher V is the Best Inshore Saltwater Spinning Reel. Penn Spinfisher V Spinning Reel comes fully assembled in the box. The reel itself comes with a CNC gear system, Superline spool, standard line capacity rings, HT-100 drag system, super line spool ring & 5 ball bearings. There is a 6th in the anti-reverse. No extra spools come with it, but they are available for purchase. The owner’s manual comes standard as well as the Styrofoam protective casing. As Penn is known for, this reel’s strength…is its strength. You can catch a King Fish off a kayak if you want. To match it has a fluid 5 ball bearing cranking system that does a lot of the heavy lifting for you. There is a 6th bearing in the anti-reverse system as well. The Spinfisher V casts amazingly. I have not had any wind knotting so far. And my bail does not decide to come down on its own. I cannot tell you what a relief that is. I have gone after Snook and Red with this line and never failed. It has the power. The only downside I would say for this reel is that there is no reverse system, only anti-reverse. You have to open the bail or loosen the drag which can get annoying, but you get used to it. The HT-100 drag system does the trick. For starters, the system is greased and maintains its power. The wet system also happens to keep sediment out which is a bonus. The 100 in HT-100 stands for the expected run length before you have to change the drag system. 100 miles is a plenty good lifespan for the cost of this reel. As I said earlier, the drag system is almost autopilot. All you have to do if your line starts to get away from you is click back on the adjustment handle. When you reel in the system will click itself off. Words cannot describe how nice that is. Penn has made adjusting the drag a much more pleasant experience. The drag adjustment is now as simple as using the 4 click system on the back of the reel. No more having to reset and adjust. The drag also lets out as your reel turns. It is as close to autopilot as it gets. The anti-reverse is on the back of the reel too. Click it left and its on, right and its off. The overall system is adjusted on the bottom of the reel with a set screw. It is quite simple to make adjustments. All reels are ambidextrous. The handle can be easily changed from side to side. Simply put, if you buy this reel it is because you value durability. The body is all metal and the side plates as well. The gear parts are made one at a time and not on an assembly line, which adds to its durability. Any model 5500 and below contain aluminum main gears. Models over 5500 are made with brass. The sealing system is the next level. The IPX5 system ensures that nothing can get in. In fact, it is the only spinning reel available that has a fully enclosed gearbox and drag system. No salt, sand or any other kind of sediment can get into your gears or bearings. The usual cause of death for a reel is sediment getting into those components. This is the most important feature the Spinfisher V has in my opinion. It will surely have a better lifespan than most other reels on the market. We all recognize a Penn reel when we see one. With the Spinfisher V also they have maintained their brand look. And I never want them to change either. The gold and black look really complement its strength and durability. The design is easy to use with the gear adjustment in the bottom on and the easy to use drag and anti-reverse right at your fingertips. Penn gets an A on customer service. I have not had to use them myself. But, in doing my research people have gotten brand-new reels when they have sent them in for repairs. That is pretty awesome. The standard warranty is one year. You can also purchase 2 and 3-year protection plans as per your needs. Penn Battle II 8000 is the Best Surf Reel Under 200. Penn Battle II 8000 is a well-built and long-lasting fishing reel. It can take on the most punishing saltwater battles due to the high-quality component used to make this reel. Penn Battle II comes equipped with “HT-100 carbon fiber drag system” which provides powerful drag that does not affect the smoothness of its operation. It also has five sealed stainless-steel ball bearings and an instant anti-reverse bearing which will help you land your catch easily. Penn Battle II Spinning reel is very smooth and easy to use as it comes thoroughly lubricated with the Penn Precision reel grease. You will find Penn Battle II 8000 securely packed in the box. Penn promises that it is engineered with the most durable materials and with utmost precision. All these features will highly benefit every fishing enthusiast as it will give you a delightful experience. 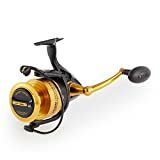 Although Penn Battle II 8000 is lower price compared to the market alternatives, the quality, and performance of the fishing reel are excellent. It is a light and well-balanced product which provides an overall pleasant fishing experience. The performance of this spinning reel for surf fishing is just impeccable. It can be used anywhere, even in big offshore waters. The product has excellent drag power and smooth handling which allows it to control some large fishes. Consequently, a person does not have to be concerned about the reel breaking off. The superb combat brakes make the reel even more reliable and robust. The Penn Battle II 8000 has remarkable performance power and drag. 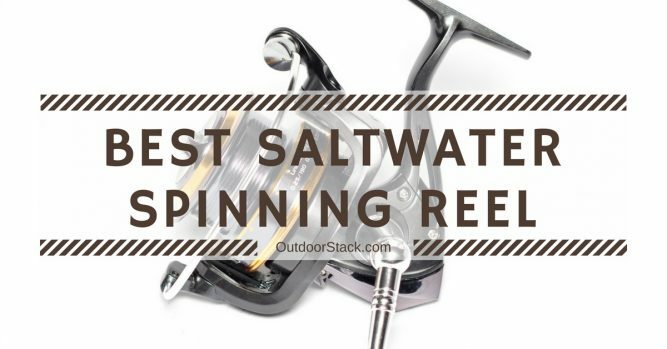 It can handle a maximum drag of 25 pounds or 11.3 kilograms which makes it an ideal reel to be used under extreme conditions in both freshwater and saltwater. Penn Battle II comprises of a front drag, made with excellent HT-100 material. Penn Battle II Spinning Reel features a retrieve rate of 36 inches or 91 centimeters. The mono capacity of the reel is 225 yard/12 pounds, 200 yards/5 pounds, 135 yards/20 pounds. The reel is strong enough to get hold of even a massive shark. Its super powerful drag makes it easy for you to pull up the big fishes effortlessly. In fact, power and the drag are among the top-rated features of this fishing reel. The smoothness of this spinning reel is what makes it popular and a favorite among the consumers and retailers. Its 30-pound braid makes it smoother and almost indestructible. Talking about the ease of use, the manufacturers have put in every effort to make this product a comfortable one for both left and right-handers. The reel has a facility of installing a crank handle on either side of the reel. To help the users quickly check how much coil is left, the manufacturers have marked line capacity points on the reel at ⅓, ⅔, and full capacity. So, whenever you go fishing and want to know how much of your coil is in the water, you can check the readings. Penn Battle II 8000 is super convenient to use and has all the features to make it very beginner friendly. The drag washers are maintained with proprietary grease to make sure the product performance is always up to the mark. Penn Battle II Spinning Reel has an impressive build quality. The reels casing is mostly made of non-corrosive metal, and very little plastic has been used for constructing this fishing reel. Usually, spinning reels become rough and unusable when salt water enters and crystallizes the interior specifications. So to provide an extra layer of protection, the ball bearings are sealed to shield it from saltwater intrusions. 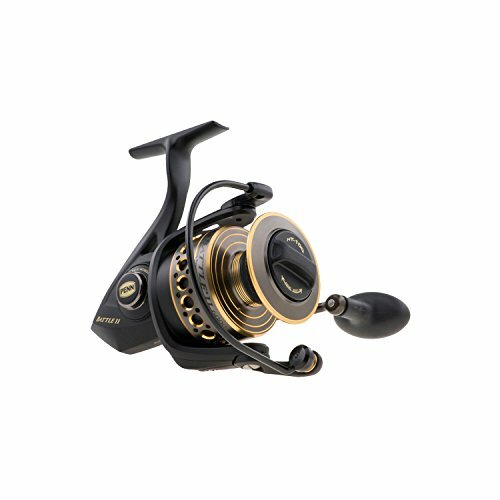 Penn Battle II Spinning Reel is made of a full metal body, side plate, rotor, and heavy-duty aluminum ball wire. This enhances the beauty of the product and gives it a sturdy look altogether. Penn Battle II is a multicolored spinning reel with a combination of colors like black, gold, and smoke textures. This boosts the physical appearance of the reel. 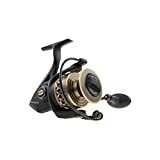 This fishing reel comes with five sealed stainless-steel ball bearings and instant reverse bearing. Penn is well known for providing excellent customer service to their customers. The Penn Battle II Spinning Fishing Reel is easily serviceable and comes with a 1-year warranty. Penn Battle II 4000 is a great value and performs at the same level as much more expensive reels. It is packed with a multitude of useful features, including an ambidextrous handle, a Superline spool, full- metal components, and carbon fiber drag system. One of the best features of this reel is its unmatched smoothness for the price. Even after months of use, the drag system maintains this important feature. The design is comfortable and durable. Penn Battle II 4000 is a great purchase for anyone looking for a smooth reel capable of handling heavy loads in fresh or saltwater. With a huge line of different models for the Spinfisher V, there is a version for every kind of fishing. The smoothness of any Penn reel is great, but the build quality behind this Penn Spinfisher V Spinning Reel is unparalleled. With an IPX5 protection rating, you really cannot argue durability either. You are sure to get an amazing useful life out of this reel. Also as always, it comes with the great customer service that Penn is known for. Penn Spinfisher V Spinning Reel is one of the most popular and highly reviewed spinning reels on the market. Add the Spinfisher V to your arsenal today, you will not regret it. Battle II 8000 is the perfect spinning reel you would need for your next surf fishing expedition. It is an absolute 5/5 product. It is crafted with the most promising and durable materials and is packed with features that can fight the largest of the fishes in any condition. Not only is it durable, but it is also extremely good looking. Its attractive body and the fantastic color combination is the cherry on the cake. This reel is the most recommendable product for all you fishing enthusiast out there. Its good looks, durability and unusual features are going to become the most significant help for your expedition. We hope you like our recommendations for Best Saltwater Spinning Reels Under 200. If you have any other recommendation, please let us know via the comments section. We will try to include it in our next update.